Background: cAMP-dependent protein kinase (PKA) is an ubiquitous serine/theonine protein kinase present in a variety of tissues. The intracellular cAMP level regulates cellular responses by altering the interaction between the catatytic C and regulatory R subunits of PKA. 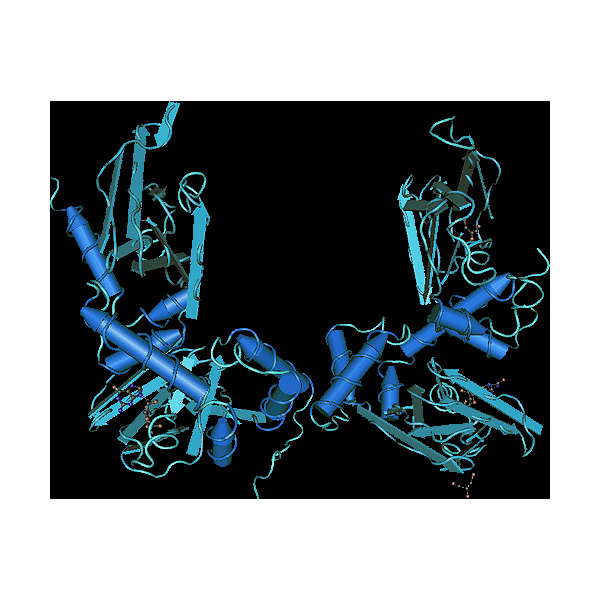 The inactive PKA holoenzyme is activated when cAMP binds to the regulatory subunits which induces the release of two active catalytic subunits. Cyclic AMP-dependent protein kinase type II beta is the predominant PKA isoform and principal mediator of cAMP action in the central nervous system. The majority of PKA type II is targeted to specific sites in the cytoskeleton or organelles of neurons via high-affinity binding to so called A Kinase Anchoring Proteins (AKAPs). AKAPs place PKA type II in proximity with neurotransmitter-activated adenylate cyclase, neurotransmitter receptors for desensitization, ion channels and substrates in the cytoskeleton such as microtubule-associated proteins. 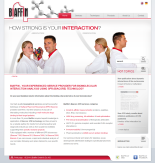 The recombinant RII beta regulatory subunit supplied by Biaffin is a 90 kDa dimeric protein (monomer 45 kD) suitable for inhibition studies and analysis of AKAP interactions. Inhibitory Activity: The cAMP-Dependent Protein Kinase, regulatory subunit RIIï¢ reversibly inhibits the catalytic subunit Cα of the cAMP-dependent protein kinase PKA. The inhibition of the catalytic subunit can be reversed by the addition of the second messenger cAMP (> 1µM). Keryer G, Luo Z, Cavadore JC, Erlichman J, Bornens M (1993) "Phosphorylation of the regulatory subunit of type II beta cAMP-dependent protein kinase by cyclin B/p34cdc2 kinase impairs its binding to microtubule-associated protein 2" Proc. Natl. Acad. Sci U S A.90(12):5418-22. Li Y, Rubin CS (1995) "Mutagenesis of the regulatory subunit (RII beta) of cAMP-dependent protein kinase II beta reveals hydrophobic amino acids that are essential for RII beta dimerization and/or anchoring RII beta to the cytoskeleton." J. Biol. Chem. 270(4):1935-44. Sardanelli AM1, Signorile A, Nuzzi R, Rasmo DD, Technikova-Dobrova Z, Drahota Z, Occhiello A, Pica A, Papa S. (2006) "Occurrence of A-kinase anchor protein and associated cAMP-dependent protein kinase in the inner compartment of mammalian mitochondria. "FEBS Lett. 580(24):5690-6. Collado-Hilly M1, Coquil JF. (2009) "Ins(1,4,5)P3 receptor type 1 associates with AKAP9 (AKAP450 variant) and protein kinase A type IIbeta in the Golgi apparatus in cerebellar granule cells." Biol Cell. 101(8):469-80.